For those of us who grew up reading Harry Potter, watching the movies, and attending midnight release parties, the release of the eighth Harry Potter book is an event that certainly calls for celebration. Now that Harry Potter and the Cursed Child: Parts One and Two is out in the universe, you may be wondering: will there be a sequel to Cursed Child ? Cursed Child is a stage production set in the Harry Potter universe that begins where the epilogue of the original series left off. The play, told in two parts, follows the adventures of Albus Potter (Harry and Ginny's son), Scorpius Malfoy (Draco Malfoy's son), and Rose Weasley (Ron and Hermione's daughter.) 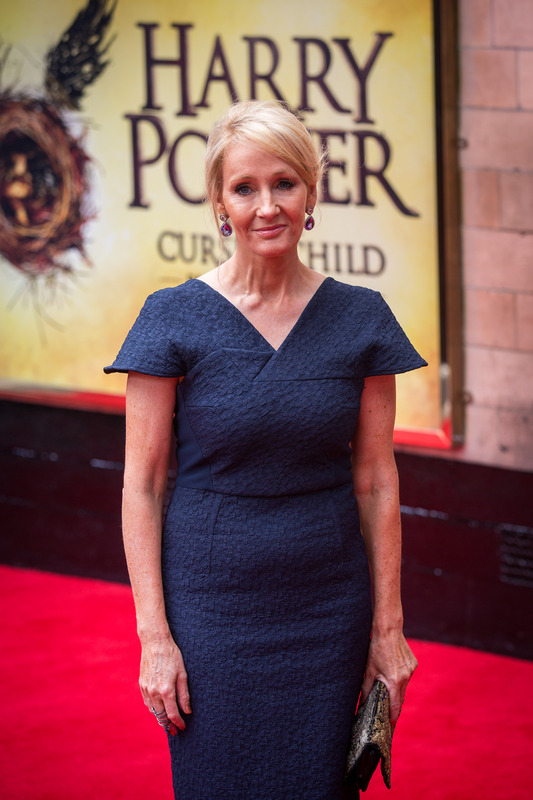 The play premiered in London's West End on July 30, and J.K. Rowling was there to answer questions about the future of Harry Potter. When asked if Cursed Child was the beginning of a new phase of stories, J.K. Rowling had a definitive answer. She told Reuters, "No, no." After the play concluded, Rowling appeared on stage and confirmed the sad news. "[Harry Potter] goes on a very big journey during these two plays and then, yeah, I think we're done," she said. "This is the next generation, you know. So, I'm thrilled to see it realized for beautifully, but no, Harry is done now." So, it appears Cursed Child may be the last time we see Harry, Hermione, Ron, and all their children, so prepare your goodbyes properly. But, don't be too sad. After all, there could possibly be a Cursed Child movie in the works, you can still see the Cursed Child play on-stage in London, and the a Cursed Child tour seems like a definite possibility. Plus, Fantastic Beast and Where to Find Them hits theaters on Nov. 18, and J.K. Rowling has already written the sequel — leading many fans to believe that the movie, which stars Academy Award-winner Eddie Redmayne, will be the first in a trilogy of films. In other words, fellow Potterheads, we have a lot to look forward to.